While talking to our customers, we’ve found one fascinating story of James who created the foundation of his project Kommunity Labs with our generator. Let’s find out more and get some inspiration. Hi James, tell us about Kommunity Labs Engine (KLE) which you started with QuickAdminPanel? KLE is a platform which enables organisations and associations to build Communities of Practice around their industry knowledge and Intellectual Property. The Portal is substantially bigger now, from when I began with QuickAdminPanel. Once I build the framework, or foundation, I download to my own server and continue developing from there. Open Lab Discussion Forum – includes user Tagging (@username) and used can embed images and add URL links etc. I use Summernote for the text areas. 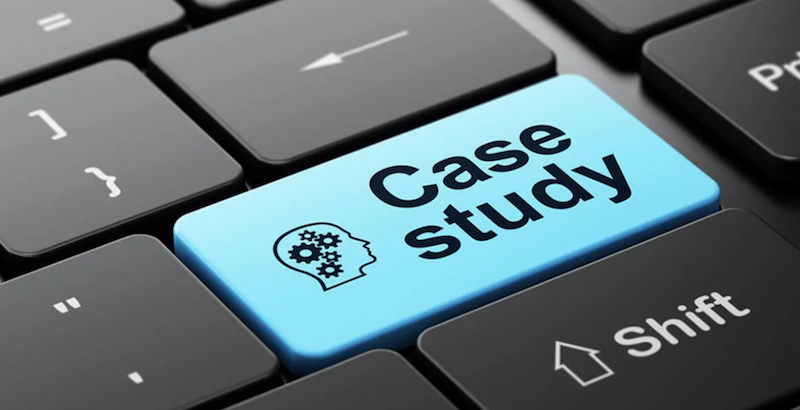 Case Studies – Similar to Discussions, but includes PDF links and embedded Video links. Case Studies have their own Discussion Forums attached. Resource Library – Lab Admins can build out their own Library of tool and resources (Videos, PDS, Docs, Excel etc). The Lab tracks every resource view for user analytics later. Survey & Snap Poll – You can create Surveys which pop up on the Lab Member Dashboard. The Lab then presents the overall results in Chart layouts. 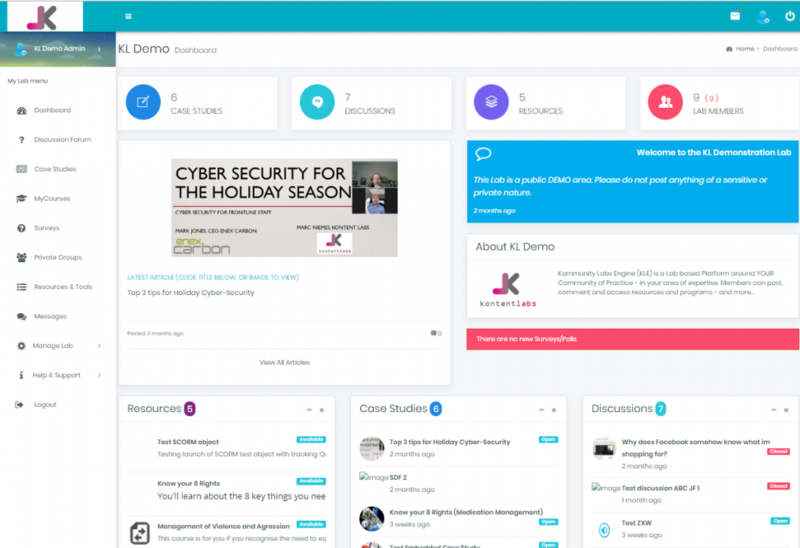 Online Courses & Quiz – This is an early stage function, but I connect SCORM compliant courses, and rather than clients requiring a Learning Management System (LMS), KLE can track start, completion and the quiz scores. User Badges – The Lab is tracking ALL user activities. I introduced a multi-level Badge system based on number of views, comments, resource views etc. Data Analytics and Summary notifications – Admins can view overall Lab statistics, including the Top Performers in each function (Discussions, Case Studies, Resources and Courses). Additionally KLE emails all Lab members once a week the latest updates to their Lab (e.g. Latest Case Studies, or most popular Discussions etc). The built in QuickAdminPanel User Activity table got me started on this function. Custom Lab Dashboard – Each Lab Administrator can fully customise their Home page (Dashboard) for members. They can add news panels, flag feature Case Studies, add welcome messages and much more. KLE is my flag-ship application and is now commercial. It is growing super-fast! We already have 6 major Australian Hospitals and Healthcare Associations using the Lab. Additionally, we are engaged in multiple conversations with new potential clients – so expect this product to grow at a rapid pace. Did you use our Generator for other projects? Yes. Since subscribing to QuickAdminPanel, I use this for every project. I love it as it saves me at least a day in coding for each project. Additionally, it provides my projects with a consistent base. Given most of my projects use similar tables, I love how QuickAdminPanel prompts me to import a previous table from other projects. All this saves me time & money! That’s critical when rapid-prototyping products. I also think the add-ons are great. Ability to add Calendar scheduling, Tasks, Contact Management etc – again, all designed to save time! In the past, I would have to use jQuery libraries and write my own – now I can just click on Install – and done! My time is then spent on the unique components of my application, rather than foundation building. What is your opinion about code generators in general? Developers usually don’t trust the Code written by others. Was this a problem for you? Yes. I took a fair amount of time before licensing QuickAdminPanel. I researched all the various options out there. There are a number of challenges or considerations developers should be considering. Currency of version. Some generators are locked down to specific versions of the framework (e.g. Laravel 5.4). This means as Laravel adds new features, compatibility issues MAY creep in. Documentation – Some generators provide very limited help and documentation. So you end up spending more time trying to figure things out, when potentially, you could have hand-written all the code in the same time. At the beginning, I had some questions and emailed Povilas – who always responded within 24 hours or so – which was awesome. It gave me confidence in his product. Dependencies – I found many of the generators required dependencies to work. Additionally, some can only be used for NEW projects. QuickAdminPanel provides me with options for both – new and existing projects. Its super easy to download and integrate into your project, or if starting a fresh project – even easier. Finally, quality of code IS important. The variable names, table names and commenting of the code is critical for any developer. The bigger your application becomes, the more important it is to have sensible and logical naming conventions and well comment code – especially if you are coming back to a project months later to make updates etc. Let’s dream about the future: What code of function would you like to be generated? That’s a tricky one. When pondering this question, I was thinking about what took the longest time to write or research when I developed KLE? The first main effort for me was the User Interface. I ended up using combinations of Admin Dashboards and Bootstrap 4 which to this day is still providing some minor challenges. It would be GREAT to include a robust end user interface or two (e.g. One might be based on Bootstrap 4, and a second option as you have it now). I had a few challenges between DataTables, Summernote text editor and other functions based on different jQuery version requirements. Its amazing how many hours you can lose playing around with such things. I am finding that more and more I am having to interface with other applications. It would be great to have some open-API type functionality where its easy to pass and receive JSON (or other) from the application. I think QuickAdminPanel is perfect for the back-end development. If anything, if you over time, added more end-user or front-end power/capability – it would be even more awesome, and again, saving developer like myself ever more time. In conclusion, I am a VERY satisfied customer of QuickAdminPanel. From Day 1, I have had great confidence in it. Povilas provides awesome and responsive Support and the Product simply works! As I write my responses to Povilas’ Questions, I am pondering my pre-QuickAdminPanel days and realise how many hours/days I would spend just building out the main foundation of an application before I started on the bespoke classes and functions. Now, in under an hour, I can build a basic foundation and spend all my time developing whats most important – the stuff which I can sell! Thanks James for the interview, you can find out more about his work at Zenith Information Systems website.